“What are you doing tonight?” asked my officemate D.
I had plans to meet this guy I swiped right on Tinder for dinner that Friday night. But not after I’m done with the whole business of hauling my stuff from Meriton Suites Chatswood to Base Hostel in CBD. The work week was over, so was my sponsored stay in the hotel. My flight was on Sunday, thus the need to arrange my weekend accommodation. From having a room all to myself, I would be moving to a much smaller room that I have to share with strangers. Kristel, my fellow Knowledge Specialist in Manila, reported that she would be meeting with friends. I told D of my lodging plans, he said he and our other colleague, Kaily were planning to take us for dinner in CBD. Am I meeting the guy who is practically a stranger or should I accept the generosity of my officemates? The answer is, I’m still single. We said our goodbyes to Kristel in the lobby then we went to the parking lot to pick up D’s car. Kaily rides shotgun while I took the seat behind. They do right-hand driving in Australia just like Japan where I first saw cars with steering wheels on the right. D drove fast much like our boss and I wondered if that’s an Australian thing. I looked out the window to manage my car motion sickness. There were roads in which we slowed down due to traffic, but it was moving unlike in the Philippines. I heard D muttering complaints about the traffic and I can’t remember now whether I said it aloud that it was not a heavy traffic, at least not in the Philippine standard. Kaily helped with my bags when we reached Meriton Suites. We got in the car, then continued our way to CBD. I was already feeling sleepy but when we passed through the Sydney Harbour Bridge, I was jolted back to life. There is something about the steel arch that had me mesmerized. They have a moniker for this bridge, “The Coathanger” because of the arch. This bridge is the 6th longest spanning-arch bridge in the world and the tallest steel arch bridge. 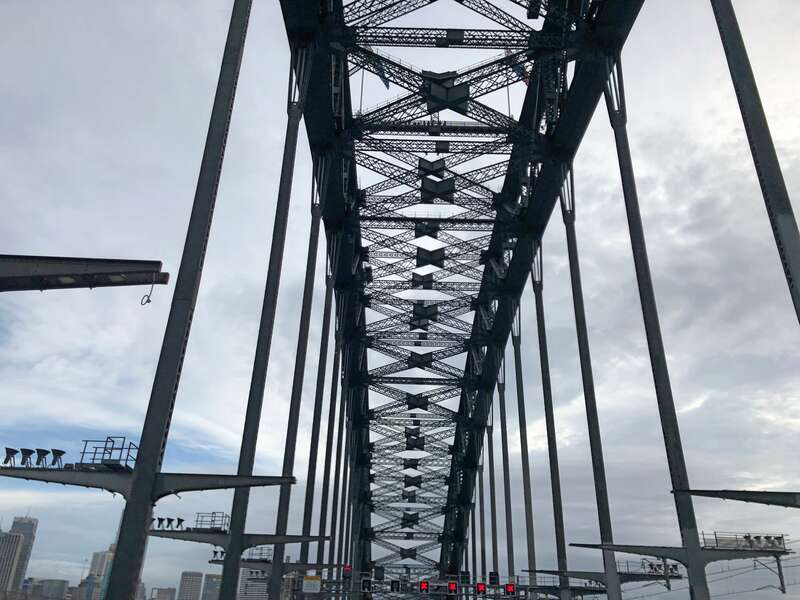 If it reminds you of the Hell Gate Bridge in New York, USA, that’s because the Sydney Harbour Bridge was built with that as an inspiration. Do you know you can do a bridge climb on this bridge? Yes, you can. It is one of the popular tourist activities in Sydney. Price range is between $168 – $403; that’s roughly ₱8,000 to ₱21,000. Both D and Kaily claimed that they haven’t made the climb because using their own words, it is bloody expensive. I can’t say I disagree. 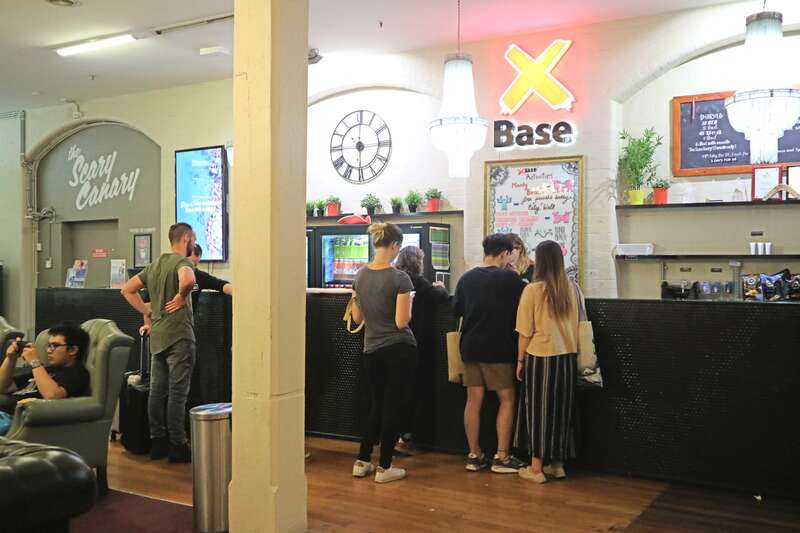 Base Backpackers or XBase has a number of budget accommodations in Australia and New Zealand, manned by staff who are, as their website claims, backpackers. In Sydney, Xbase is in a perfect location along Kent St., close to many other points of interests, such as the Chinatown, Darling Harbour, and The Rocks precinct. Xbase, as it turns out, is what I would call a party hostel; it literally has a door that connects to the Scary Canary, a popular bar and club in the area. There were many people in the lobby, mostly young people in their 20s, who are clearly backpackers. I don’t do well with a lot of people, I only picked this hostel because of its proximity to many key spots in CBD. Kaily helped me with my bags again, as D waited for us in the lobby. For some reason, we failed to see the elevator. Hence, we exerted so much effort climbing the stairs while carrying my backpack and luggage, all the way to the floor in which Sanctuary, the secluded area for women, can be found. We couldn’t find the Sanctuary so we knocked in one of the doors and out came a blonde lad. He pointed us to the other end of the hall where the Sanctuary is and asked me what’s wrong with the mixed dorms that I chose to stay in the all-female area. I just laughed, choosing not to answer his question. Mixed dorms in which there are more males than females tend to be always in a state of chaos. This is not to say that I didn’t meet women who are slobs but based on my experience, men, in general, do not care about putting away their stuff. Also, I’d like to be able to take off my clothes without having to go to the bathroom. As soon as I settled my stuff in the dorm, Kaily and I headed out to meet D. First point of business is to have dinner at World Square, a food and shopping center on George Street. 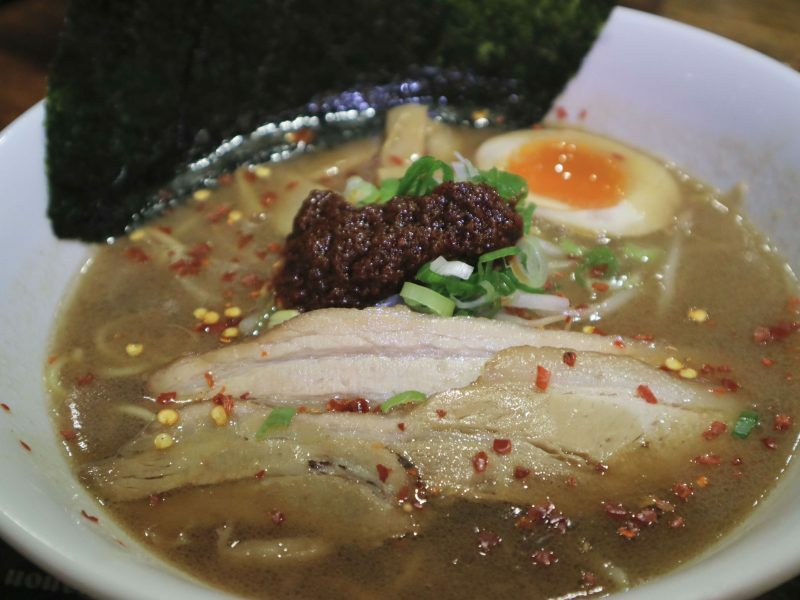 There, we had ramen at Ramen Zundo where we were joined by Hillary, D’s girlfriend. 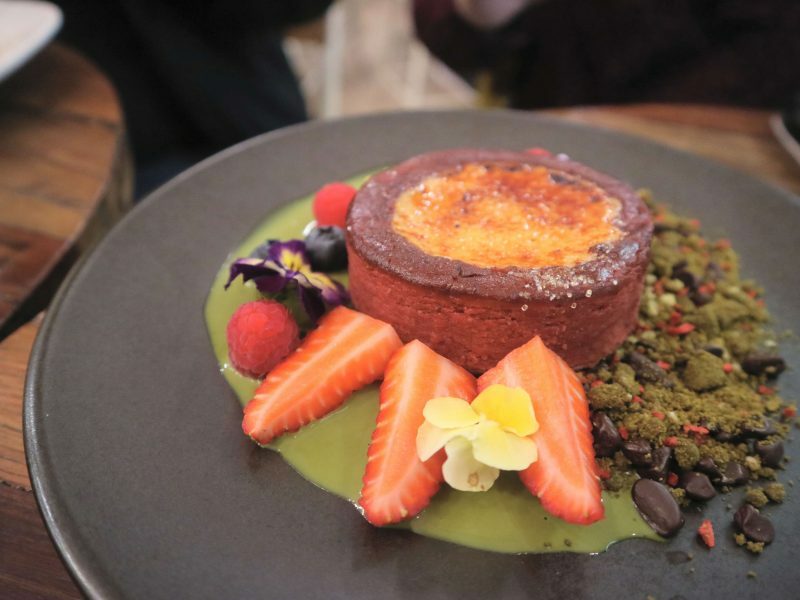 My colleagues were particularly excited about getting our desserts at The Chot Pot, in fact, they were set on going there long before we decided where to have dinner. 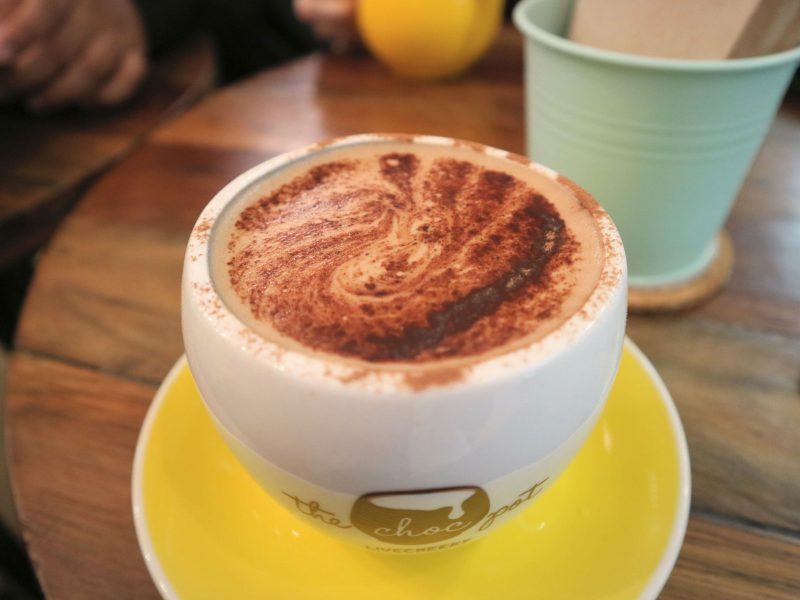 Choc Pot can be found inside the Regent Place Shopping Centre. It is known for their signature dessert of, well, chocolate pudding in a pot. 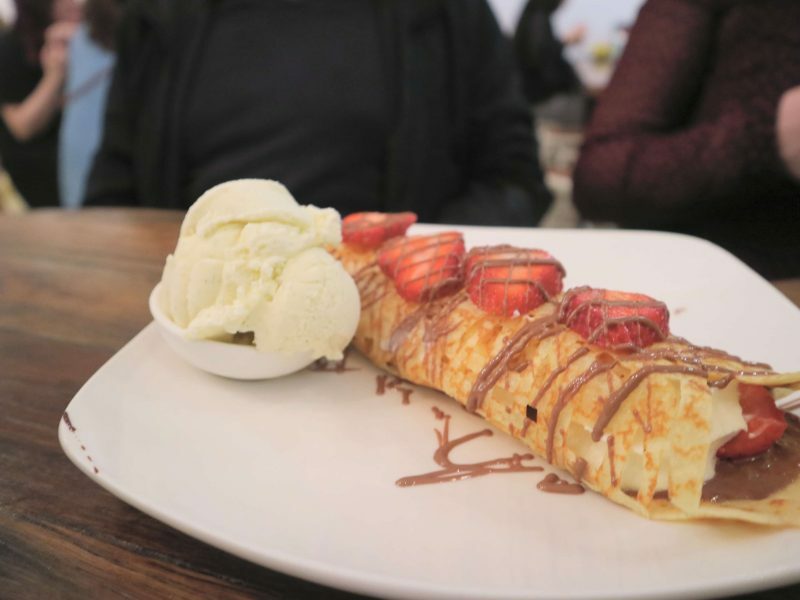 It’s like a land of souffles and waffles, ice cream and marshmallows, and yes, chocolates; basically, your sweet dreams. The place was packed that we had to wait to be seated. A stocky Asian guy was managing the place, his accent told me his nationality; a fellow Filipino. My tummy was still heavy from the ramen that I had and that’s the only thing that was preventing me from devouring the dessert that we ordered in its entirety. 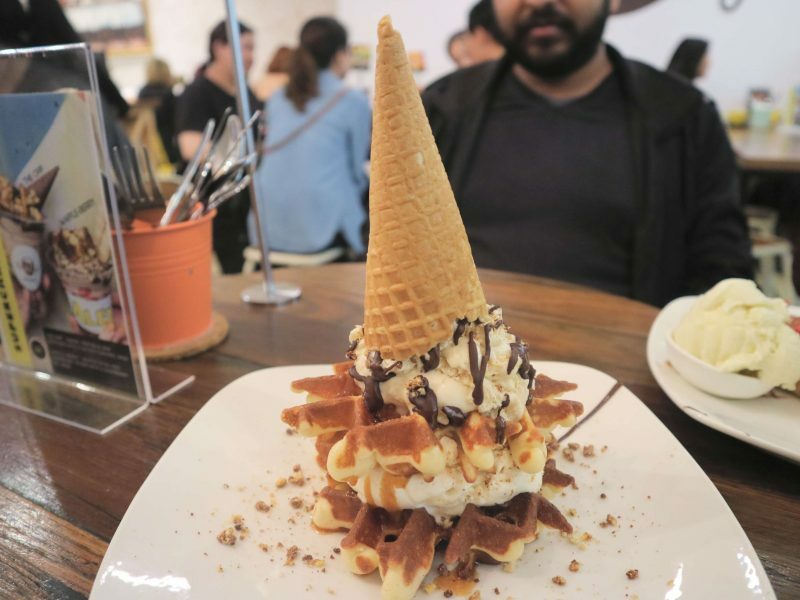 I’m not a chocolate person, but I love ice cream, thus I was pretty happy eating the waffle topped with an overturned ice cream cone. I wasn’t able to get the names of the desserts that we had, I took pictures though. 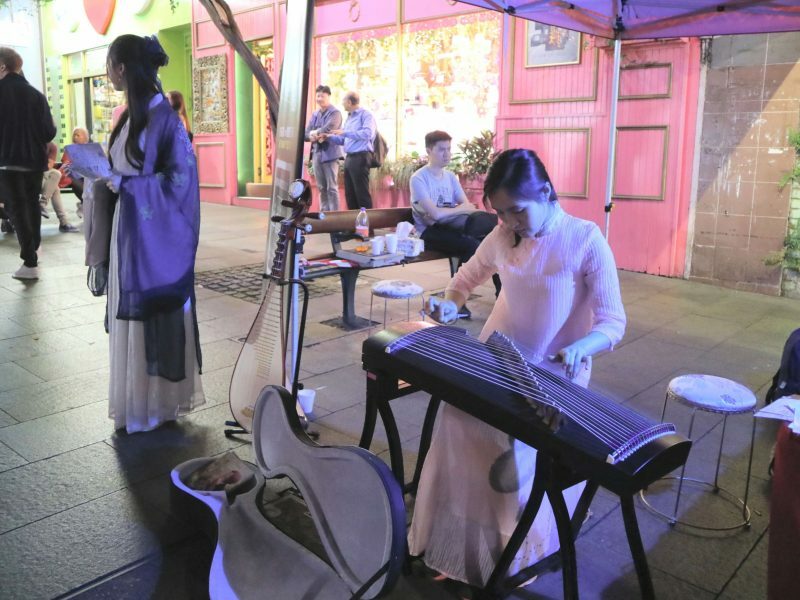 In Sydney, there are many Chinese who are part of the 5 major ancestries in the city. And where there are many Chinese, you are sure to find a China town. We walked through the Chinatown as we contemplated our next destination. 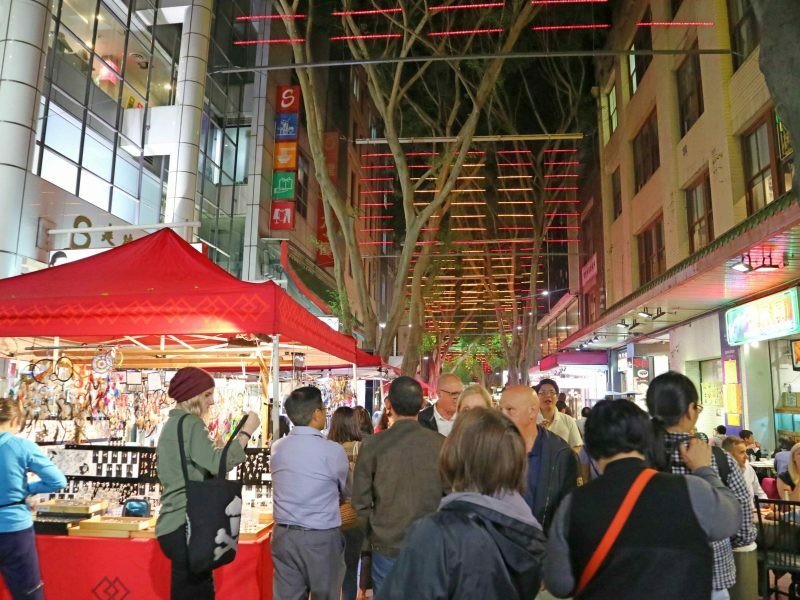 There are plenty of Chinese restaurants and shops in this area and in the evening, you can visit the area to check out the food stalls and souvenir kiosks during the night market. 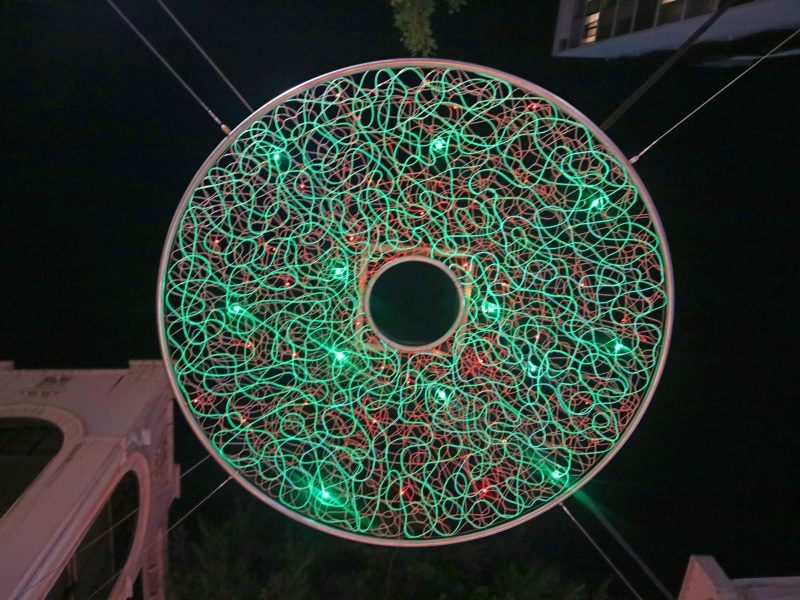 There was a huge round installation hanging above that looked like a Chinese vintage coin. My companions noticed me taking photos of it, they said that if it weren’t for me, they wouldn’t have known that it was up there. The queue moved pretty quickly that soon we were inside this dark and fully crowded underground whiskey cellar. 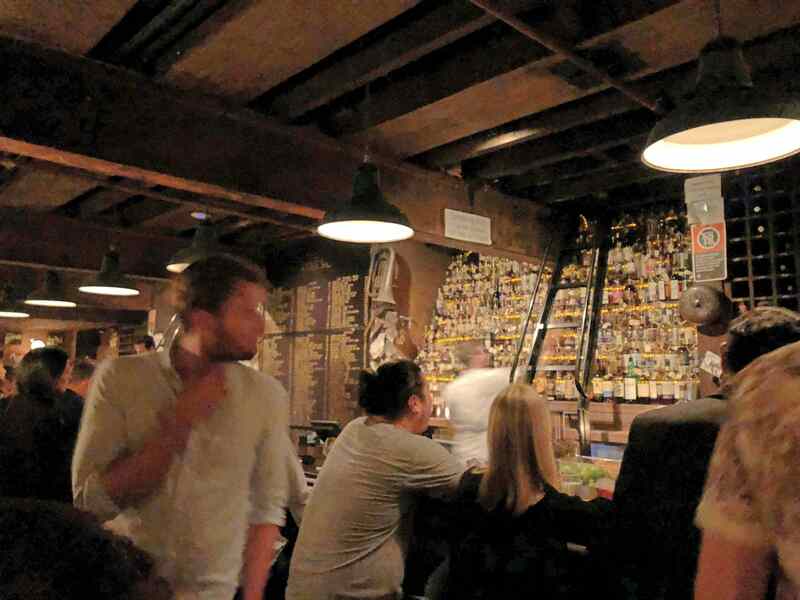 The back wall of the bar is covered with different bottles of old whiskey that go right up to the ceiling. The bartenders have to use a wheeling ladder (like the ones they have in libraries) to get to the top shelves. There were people in every corner that I thought we would never be able to find a table. Moments later, I saw D motioning us to the table that had just been vacated. I approached the bar where one part of the wall has a list of all the drinks they are offering. I don’t speak whiskey, my alcoholic knowledge limited to vodka, wine, and cocktails that looking at the menu felt like reading a Sanskrit I have to pick my battles, thus I retreated to our table and let D do the ordering. Men in Sydney are generally good looking and I also noticed that they have a good physique. And a lot of them seemed to have the same idea that night, visiting The Baxter Inn, that is. I sat there the entire night either listening to the stories of my colleagues or eyeing the eye candies. Kaily and D had mocktails because they don’t drink. I forgot what Hillary ordered; I think I had a mojito (this happened in November last year so I don’t remember the littlest of details). Kaily and I got to talking a little bit while the couple was getting our drinks. We’re both single and not dating anyone, and I remember not being able to articulate well the reason for my singlehood. Everybody was tired and it was time to call it a day. They walked me back to my hostel, the night air has grown chilly. I gave each of them a hug as we said our goodbyes. I told them that I truly appreciate them taking their time to tour me around CBD. I certainly do not regret choosing them over a Tinder date. The line was still long outside The Scary Canary, I went inside the hostel, found the elevator that has eluded me and Kaily before, got in and went up to the Sanctuary. Your blog posts are always an inspiration. 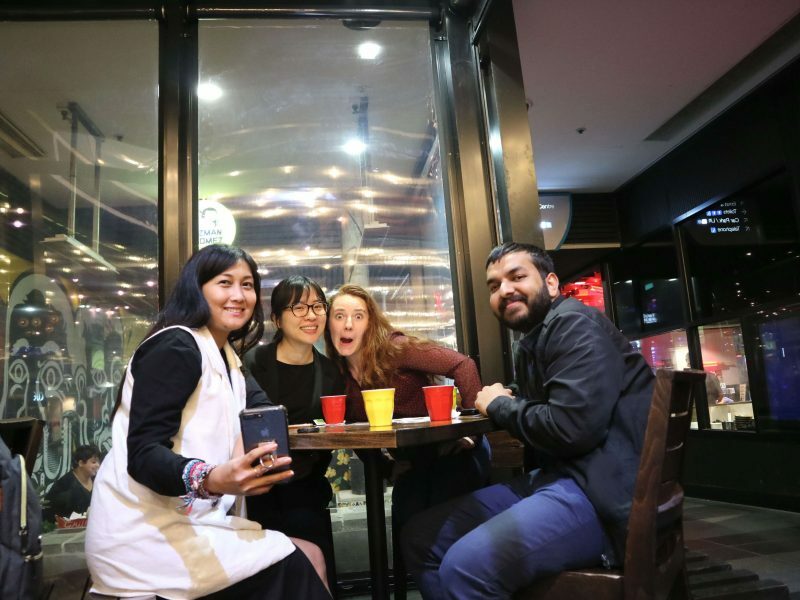 Be it getting inspired to get a sponsored stay in a hotel to shifting with complete strangers in a hostel, you explore the entire gamut of traveler experiences! I just lost track of your Tinder date. Here’s hoping you dont stay single for long and find a nice guy for your self. In your post, I particularly liked the Base Backpackers Hostel since the hostel mania is taking over big time in India as well. I also like the Baxter Inn, it seems like a rather happening place in Australia. So next time, I visit Australia, i know where to go. Sydney CBD seems like quite an interesting place. 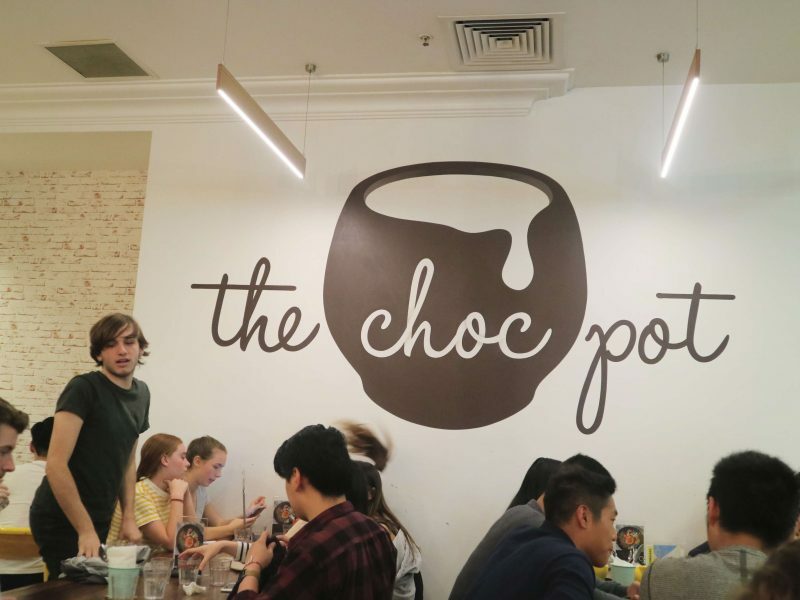 I loved the Choc pot as I’m a chocoholic and would love to visit someday. That view of Sydney Harbor Bridge was quite a stunning sight too. Glad you had a good time after all that hassle of moving from a hotel to a hotel.Thanks for sharing! You had a great time in Sydney CBD. You looked so cute in the picture taken in World Square. 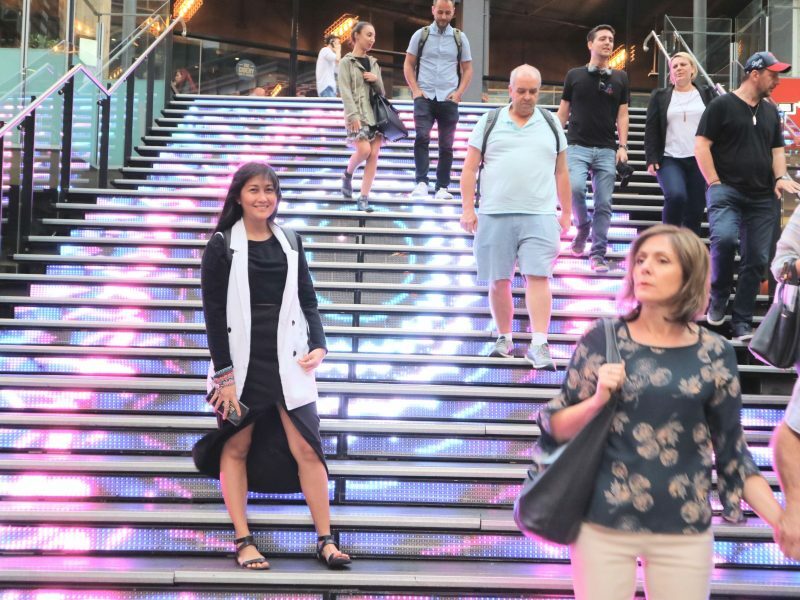 The lit staircases remind me of the ones in Siam Center, Bangkok. You also included Sydney Harbour Bridge in your plan – how can anyone miss that! It is great to see you went there. And you certainly ended your day the right way. I love cool pubs and beer clubs too. It’s so nice to see that you went closer to the Harbour Bridge.. I didn’t even reached that close. I also missed the affordable meals at Chinatown which I can deduce is the one-stop place for finding something affordable (applicable to every country that had Chinatown… lol).